Decals are a fun and easy way to create an accent wall in your child’s room; they’re easy and quick to apply and can also be removed in an instant if you’re suddenly feeling like a change. Have a look at our collection of decals and get inspired! 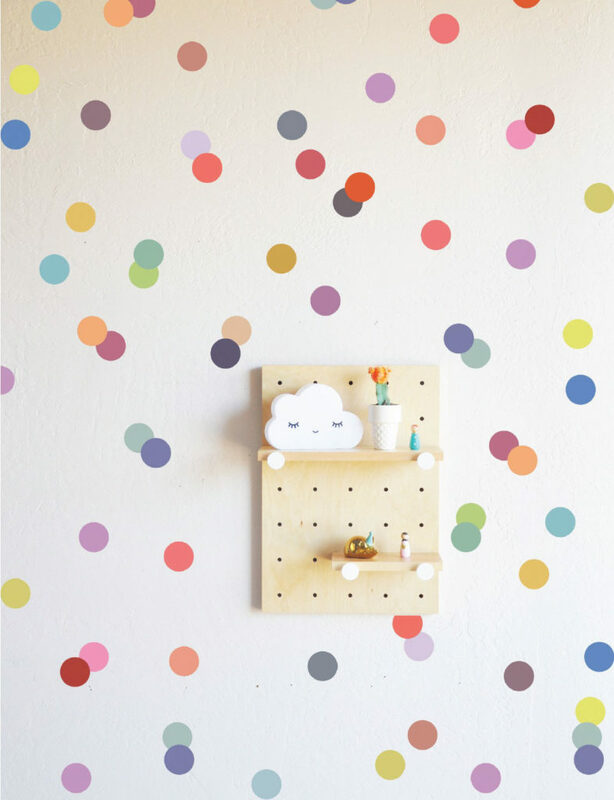 Create an accent wall in minutes with fun and funky decals! A statement art print or a collection of smaller art prints create a stunning accent piece for your child’s room. 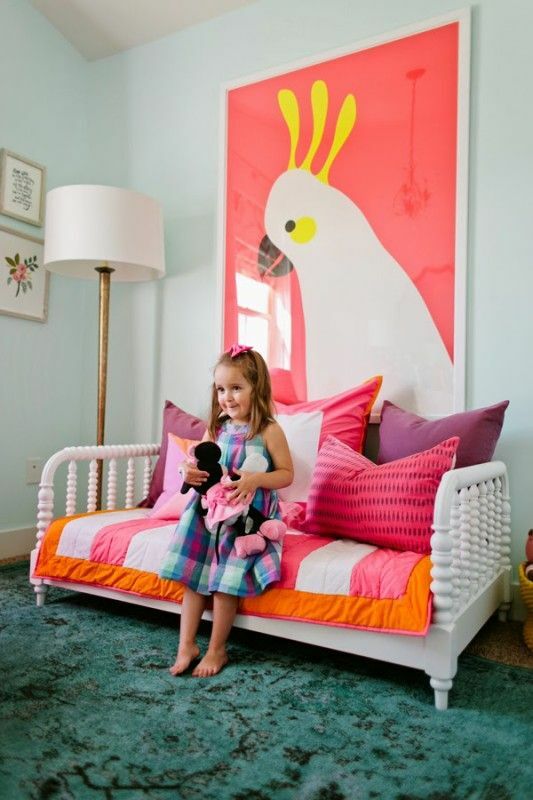 By letting them choose their own art prints, it’s also a great way for your child to express their unique personality and make their room feel extra special to them. A collection of smaller framed art prints are another great way to create a feature wall that your little one will love! With wallpaper back and bigger than ever, it’s the perfect way to create an accent wall in your child’s room. With thousands and thousands of options to choose from, there’s no limit to what you can do with wallpaper at your side! 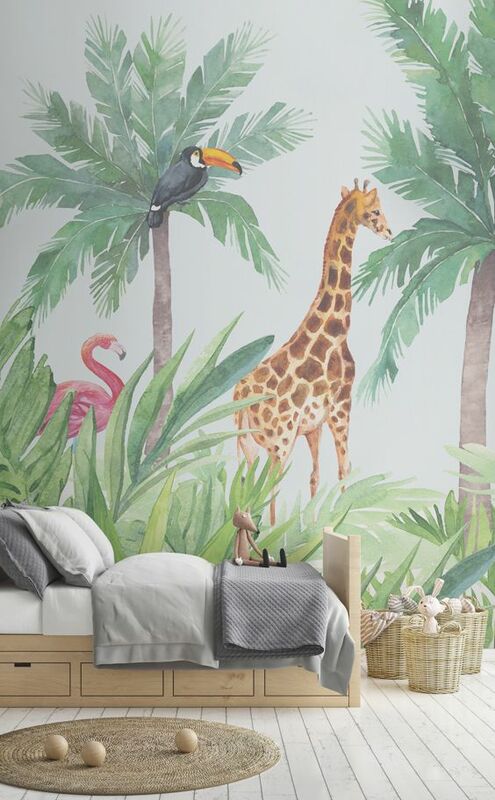 From monochrome patterns to realistic jungle scenes, anything is possible with wallpaper! 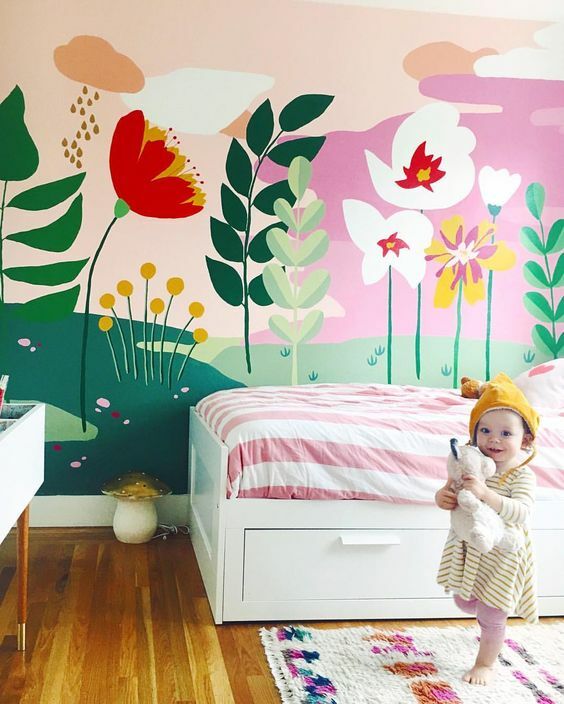 Although murals are a much bigger commitment, they also create the most unique and stunning accent walls in children’s rooms and will be loved by your little one for years to come. 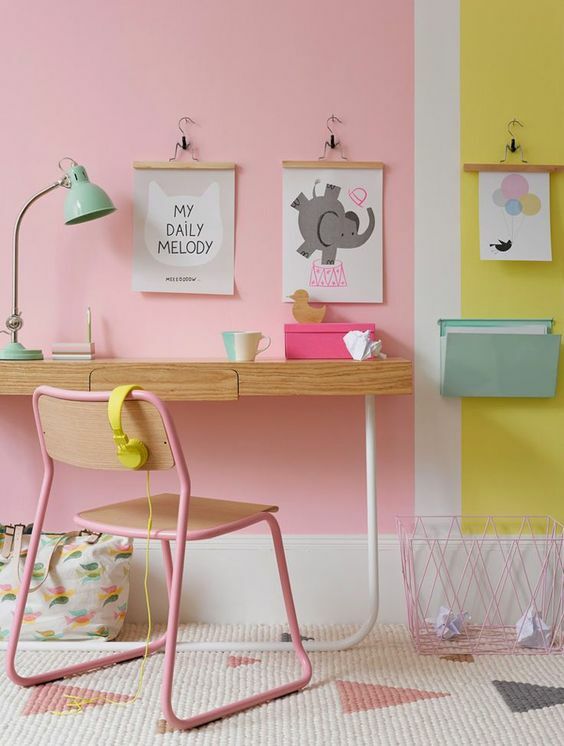 A colour feature accent wall is another simple and more minimalist way to create character in your child’s room. Make sure to pick a fun colour that compliments the bedroom’s decor yet also creates an interesting contrast within the space. 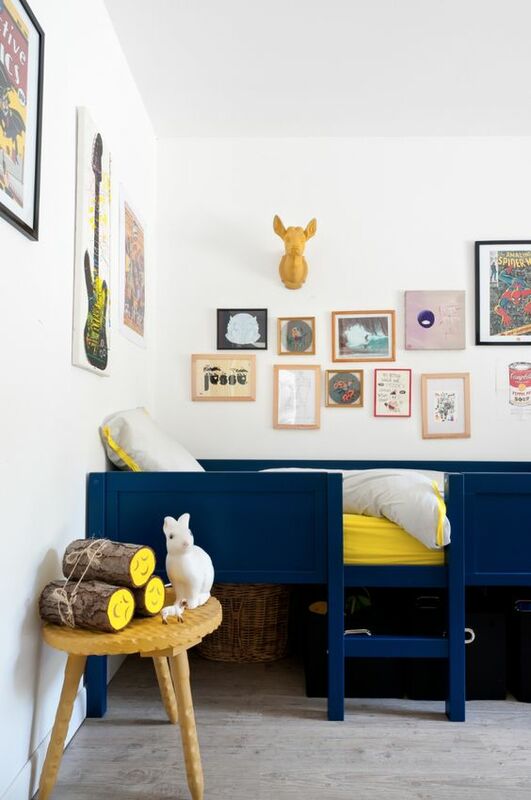 A simple splash of paint is an easy and fail-safe way to create a fun accent wall in your child’s room! An accent wall will ignite your child’s imagination and create a special backdrop to all of their happy memories that will be made in their bedroom in the years to come. Which one of the featured accent walls is your favourite?